I called a friend the other day to ask a simple question about some software I was using for a project. It seemed that I caught him in a lack-of-job-related funk that has persisted for many, many months. “I’ve done everything I can think of,” he told me, including changing his resume, changing his approach when applying for work, applying for very different kinds of jobs outside his field. All of it, unfortunately, to no avail. “And what really pisses me off is that people don’t call you back,” he said in a tone that was a mix of frustration, anger and depression. My heart went out to him. It’s a situation that many people in our country, and the world, know all too well. I wondered if I would show the same courage he’s shown during these difficult times. It could be argued that we’re not qualified, we’re the wrong age, we’re not pretty enough. But all that matters little. And it’s pointless to try to connect dots that just aren’t to be connected. I don’t mean to imply that we shouldn’t honestly (but gently) look for ways to better ourselves. There’s certain value in self-assessment and improvement. It takes persistence, that’s for sure. 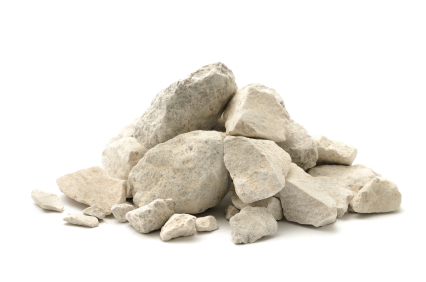 I’m reminded of a question someone asked about breaking rocks with a sledge hammer: Which blow cracked the rock? The answer is “the last one” according to those who engage in such thinking. But not so quick. Doesn’t each swing of the hammer, each blow to the rock, lead to the end result? Doesn’t each blow matter in some, sometimes imperceptible, way? We don’t need to know exactly how, we just need to keep swinging. Several years ago, I was visiting some friends and in their bathroom, strategically posted near the mirror, was this reminder: “You are strong. You are smart. You are beautiful. I believe in you.” Yet, how easy it is to focus on what we perceive ourselves not to be. “I’m just not ____ enough,” the thinking goes as we fill in the blank with our shortcomings. The truth is, we’re stronger than we think we are. Sometimes it takes a gentle reminder. Gotta love that Christopher Robin, don’t ya?